After Manchester United’s suffered victory against Old Boys, Michael Owen was another one of the critical voices against Mourinho. Watching Jose Mourinho vindicating himself over and over again after every match has a reason, the intention is to respond to the neverending criticism coming from prominent football figures such as Michael Owen. Yet another voice that adds itself to the constant noise against the Portuguese manager, the former Liverpool star is another one of the unhappy opinions against Jose’s style of play that may deliver results but it’s very far from what the Red Devils usually deliver to their fans. Paul Scholes also spoke against Mourinho’s “dull” football after the match, Michael Owen was one of the other United former players who doesn’t really seem to care about getting results and want to see a lasting impression the comes with offensive football. It’s almost as if Jose will never be enough for all the Manchester United purists, who will always keep longing for the traditional dominance they had under Sir Alex Ferguson that always seemed to rely on a more daring proposal regardless of the opponent. 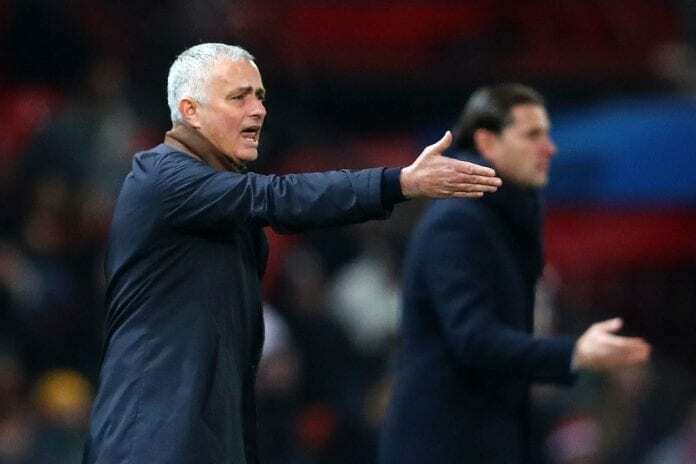 But the reactions against Jose Mourinho are already starting to look personal attacks against him, as the club’s legends keep going directly against his ultra-defensive style and keep saying that the Portuguese manager needs to evolve alongside the rest of the world. “I sit uncomfortably with it,” Owen said of United’s style as quoted by Goal. “It’s not just been for two or three weeks that it’s been poor, it’s two or three years,” Owen added. “Yes, Manchester United have qualified and yes, they should celebrate that, but it’s papering over the cracks. It’s very, very average and it’s been average for some time,” he concluded. The final verdict after looking at all the reactions from the former players, is that Jose Mourinho might never be able to please any of them and results will never be enough for his spell with the Red Devils. The opinion coming from people like Michael Owen becomes even more painful when all of them are also praising Pep Guardiola and his chipper offensive style of play, one that has completely enamored every single Premier League fan in the country. The ghost of Pep’s football might never stop hunting Jose Mourinho, it will forever be a major shadow that may never leave his side. We will also never stop looking at a defensive Mou, because he will never relinquish his own style which is not always defensive in reality, only when it needs to be. In fact, we can also hear from Pep Guardiola’s lips how important defending is. Manchester City’s current success in the Premier League relies almost exclusively on how well his defensive players are performing and nobody ever seems to talk about that. Why do you think so many Manchester United legends seem to criticize Jose Mourinho’s defensive style so much? Please share your opinion in the comment section down below.